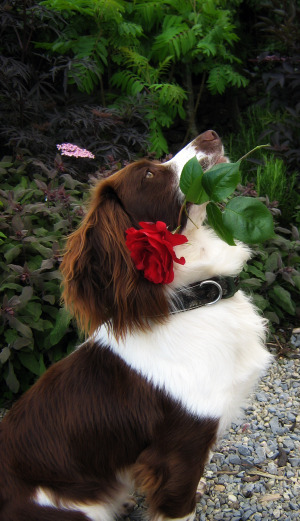 Having run our business for over 20 years, we have had many guests stay with their dogs, and understand how hard it is to find quality accommodation that welcomes you and your dogs. In saying that, we also understand why so many accommodation providers say no to dogs. However we are trying to keep Rostrevor Holidays dog friendly, and in doing so, are not punishing the majority of owners who are considerate.To continue with this, we have certain house rules for guests with dogs, along with some tips to help you enjoy your holiday. Please remember that we wish to maintain the high standards of Rostrevor Holidays, and that the majority of our guests are not dog owners. Therefore taking a dog friendly holiday does not mean that you are taking a holiday from your responsibilities as a dog owner. 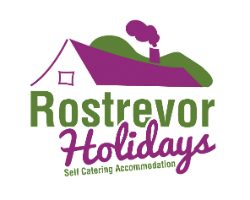 Rostrevor Holidays are set on 24 acres of farmland and are separated from the road by several fields. However we strongly recommend that you keep your dog on the lead while you get to know the area, and the site. As previously mentioned, the majority of our guests are not dog owners. Out of consideration to these other guests, you must keep your dog under control around other properties. This may mean that you need to keep them on a lead at the start of your walk. We must be informed if you are taking a dog with you, or an extra dog to the one mentioned at time of booking. If you arrive with a dog extra to your booking information, a charge of £30 will be placed. Dogs are not to have free run of the property. We wish to maintain the high standard of our accommodation, and so request that dogs are not allowed in the bedrooms, on the furniture, and especially not in the beds. Please pick up after your dog, and dispose of in an outside bin. We provide poo-bags in the cottages, so please make use of them. We have many families with young children who stay with us at the cottages, and so it is even more important to clean up after your dog. If you are bringing a puppy, please bring along a crate or a cage with you. It is not acceptable that they cope with their teething by chewing on our furniture or soft furnishings! Any damage caused or replacements needed, will be at your expense. If you need a cage, please ask. Although in the mountains and forests there are plenty of streams, it is advisable to bring along some fresh water with you on your days out. Especially to the beaches as they may not have a facility of fresh water supply. Keep your dog under close control at all times for their own safety as well as the comfort of others. We often have ponies and horses in the fields surrounding the cottages, do not let your dog run lose in the fields with them as they may get kicked, and unfortunately it will be your dog that will suffer more. Please do not allow dogs on furniture, we provide dog blankets for their comfort. We regret that an additional flat charge of £50 will have to be made if carpets, rugs or bed-spreads require additional cleaning. Thank you for your help in keeping Rostrevor Holidays Dog Friendly.